Maya Angelou; April 4, 1928 – May 28, 2014. Her website states, “Dr. Maya Angelou is a remarkable Renaissance woman who is hailed as one of the great voices of contemporary literature.” She was a poet, author, educator, historian, a mother and mostly a friend whose voice we’ll always hear urging us to do better, to teach others what we’ve learnt and to accept each other as God’s children. 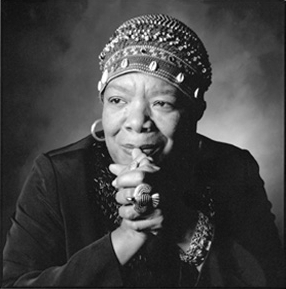 This entry was posted in About Poetry, Real Life, Shorts and tagged African-American poets, American poets, maya angelou, maya angelou i know why the caged bird sings, maya angelou love poems, maya angelou love quotes, maya angelou phenomenal woman, maya angelou poems, maya angelou quotes, maya angelou timeline, Poems, Poetry, still i rise maya angelou. Bookmark the permalink. This piece of writing posted at this website is really good.